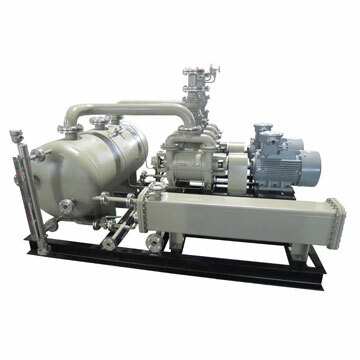 The water ring vacuum pumps are used widely in chemical and pharmacy areas for its characteristics of the work principle and structure. The water containing the solvent or poisonous substance that setting out a lot of harmful gases would be relcaimed and get ride of the environment pollution. The pumped solvent is not easy to reclaim and that causes lots of waste.